Manufacturers spend millions every year to advertise their products through advertising agencies around the world. 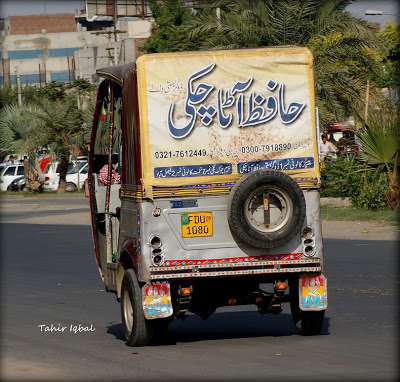 The advertising agencies use very innovative and pragmatic means to make a commercial a video or a promo to attract the target audience and would be customers. 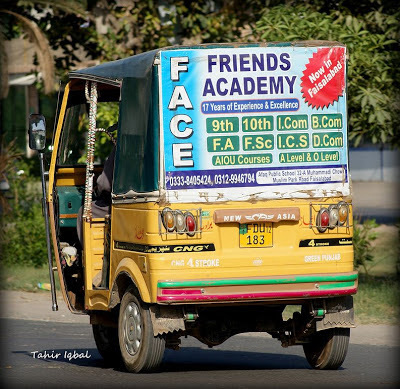 And you and I know that most of these ads project fake and far from reality picture of the effects of the products in question. But we still fall into their trap and buy things that do not yield they way these have been advertised. Although not credible as the expensive ads, there is yet another simple means to project and advertise one's products - the Rickshaw Ads. 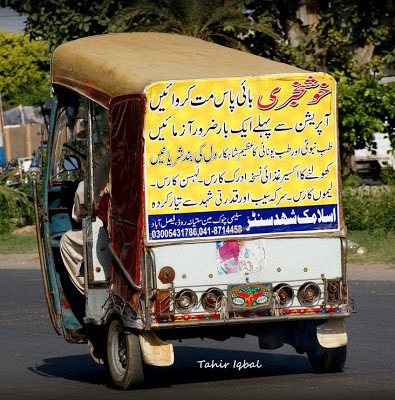 Yes the Rickshaw Ads that are not only cheap, but also 'force' anyone following a rickshaw to read till he overtakes the rickshaw or the rickshaw turns in some other direction, much to the satisfaction and relief of the follower. 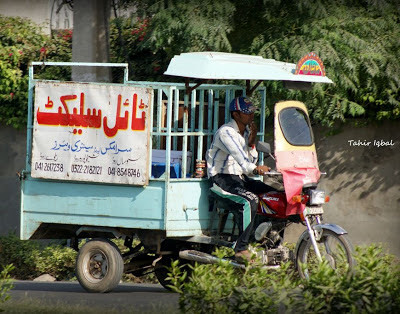 Such rickshaws can be found in abundance on our roads advertising cheaply, yet very effectively on behalf of their advertisers. The 'field and scope' of the rickshaw ads is very vast - think of any thing and you would find it on a rickshaw back more often than not. 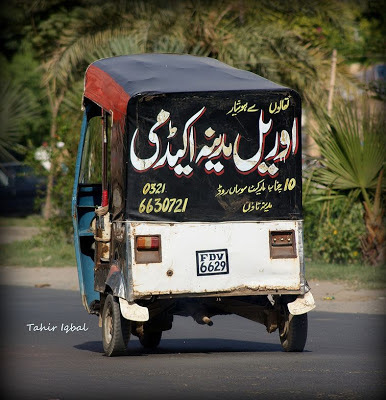 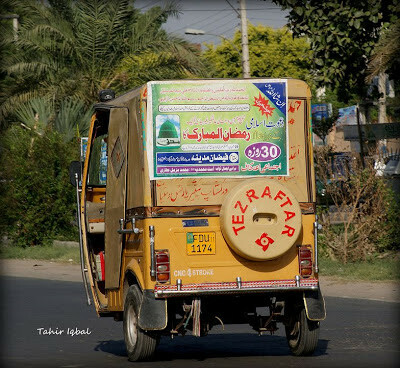 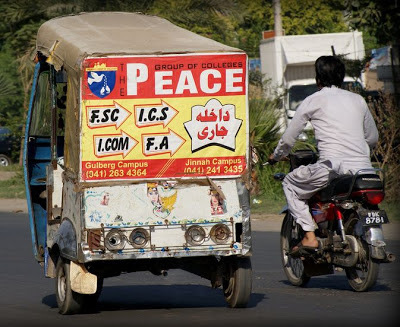 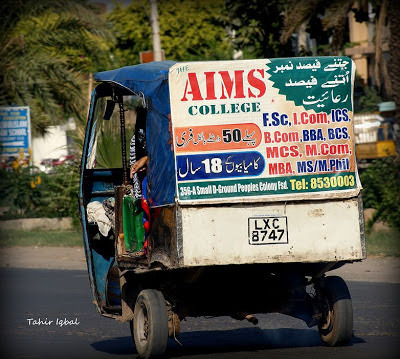 Whether it is a educational academy, men's tonic, a flour mill, a product, an election campaign or a hospital ad - it is all there right in front of you at the back of the rickshaw you are driving behind. Photo Attribution: All photos above have been taken by Tahir Iqbal, who shares his unique and expressive street photography on Flickr and have been shared here after his exclusive permission. 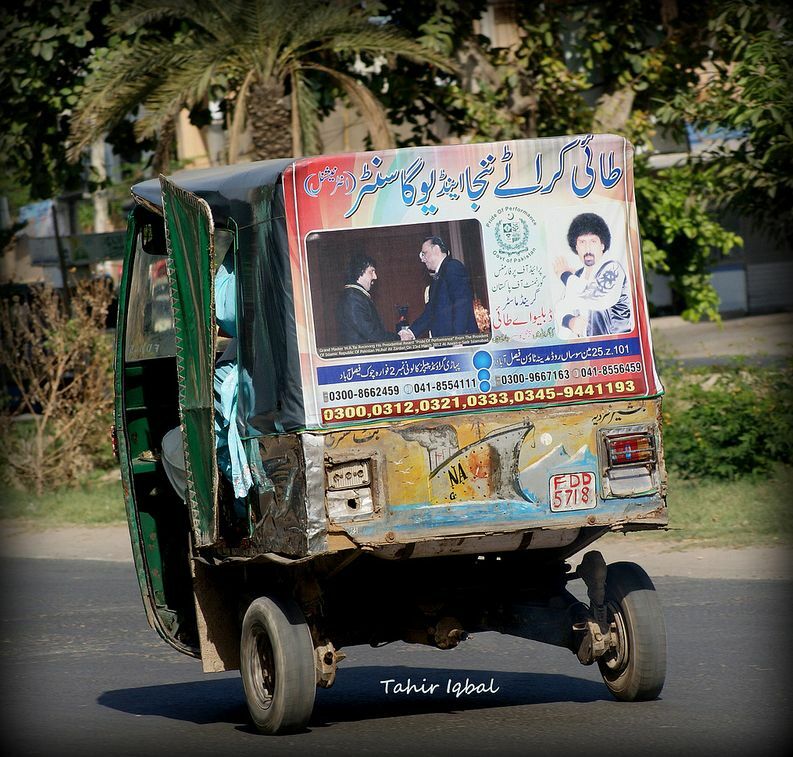 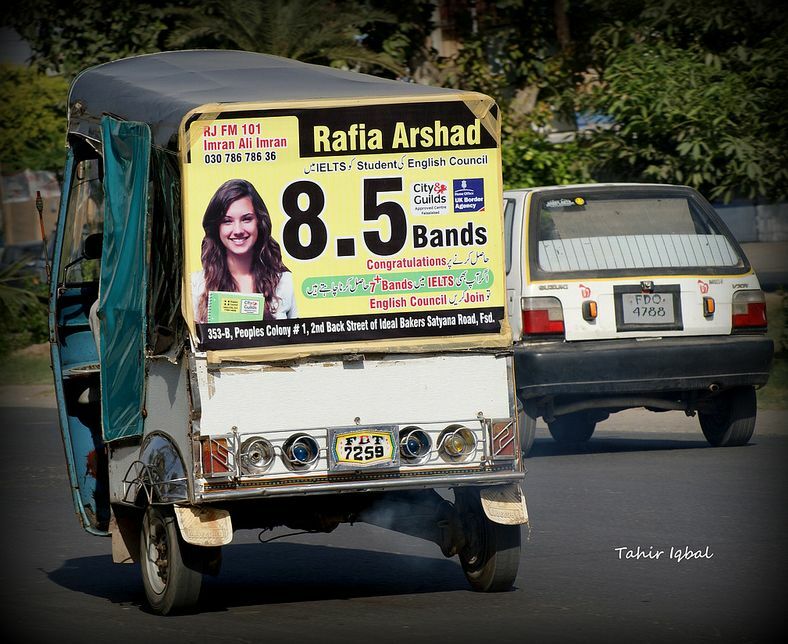 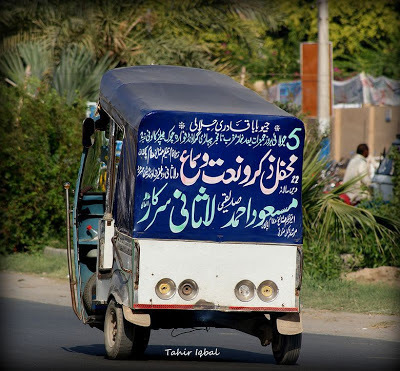 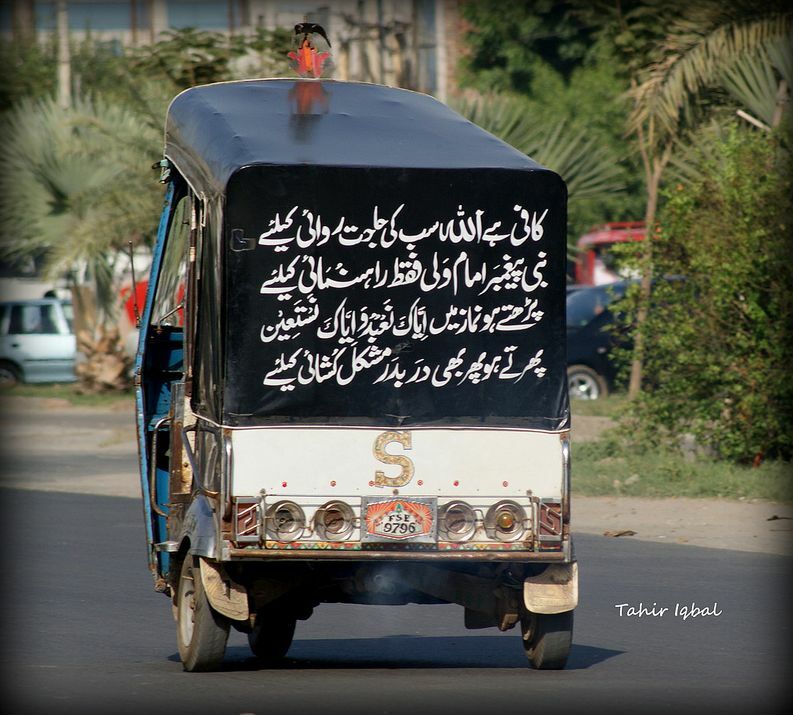 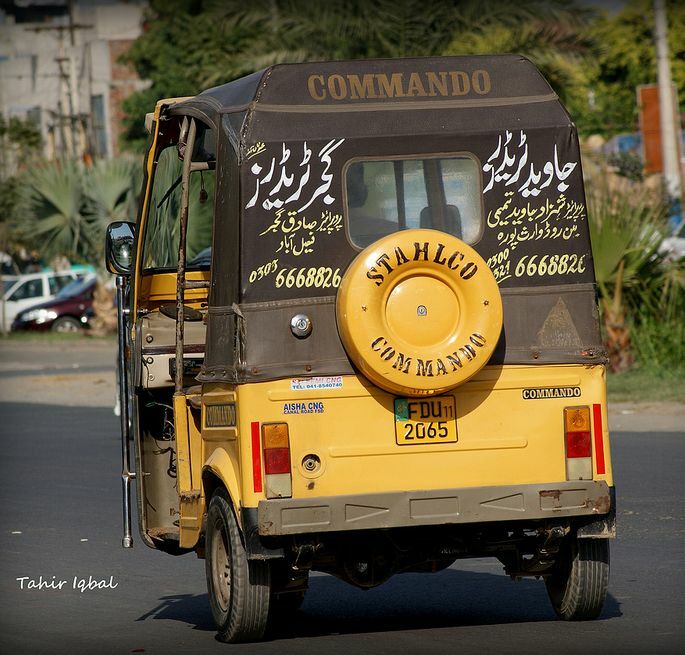 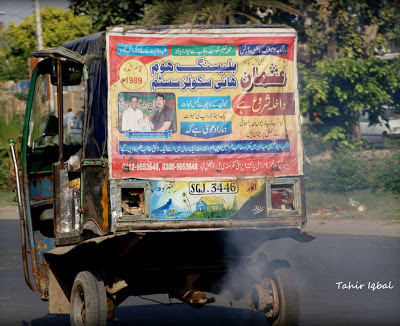 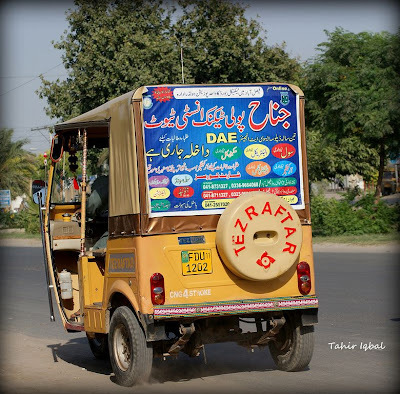 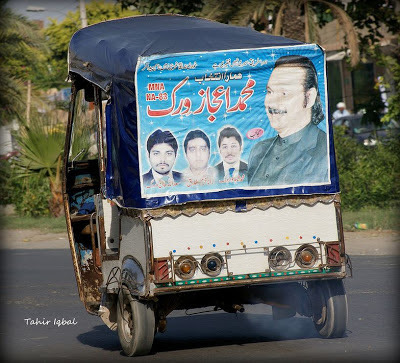 Good effort Jalal for capturing pics of Rickshaw Ads. 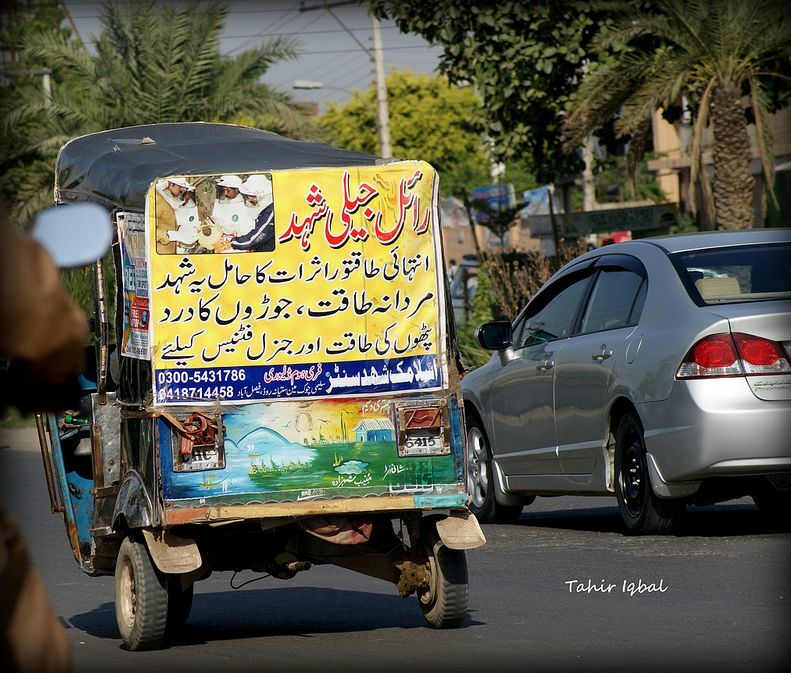 Wow that's hard work and effort.